With UK government bonds at the lowest level since 1897 the 15-year gilt yields have reduced to 2.46% a fall of 24 basis points this month. average of just over 1% although smoker pension annuities have decreased by the same amount. The general uncertainty in the Eurozone's ability to manage the debt crisis and establish the member treaty for greater control of sovereign spending has seen investors move investment to safe havens such as UK government bonds and gilts. In addition markets were volatile with threats of rating downgrades for the Eurozone members and the ECB comments on not supporting indebted EU states. 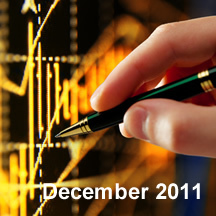 For December the annuity rates market was mixed with standard annuities increasing and smoker rates decreasing. 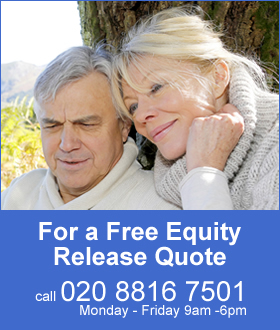 This resulted with 43% of rates increasing and 48% of annuities decreasing for December with 9% remaining unchanged. These figures are based on a fund of £100,000 from male, female and joint and with different features such as level and escalating. Fig 1 above shows that for December 2011 there was almost an equal increase and decrease in the latest annuity rates market overall for both standard and smoker rates. The range of decreases were from 0.2% to a high of 1.6% and all from the smoker annuity market. The increases were all from the standard annuities market with increases from 0.2% to 2.5%. Overall standard rates increased by an average of 1.08% whereas smoker pension annuities decreased by 1.07%. Standard pension annuities have increased across the board at the end of December 2011 with the rate rises from Legal & General and Canada Life resulting in an average increase of 0.4% to 1.7% although there was some variation around these figures for particular markets. The biggest increases were for females aged about 75 as well as joint life level and with a 10 year guaranteed period but not escalating rates. For single males with 10 year guaranteed period and 3% escalation there were increases but not level rates. For smoker pension annuity rates the reduction was similar across the the board averaging 0.8% to 1.5% with some variations but in general a more consistent fall for all annuity rates. A 24 basis point reduction in the 15-year gilt yields for December should result in roughly a 2.4% decrease in annuity rates. Over two months this reduction is 44 basis points or roughly a 4.4% decrease in annuities. Looking at the reductions over two months, the standard rates have decreased by only 1.2% and would suggest that these annuities will fall by an average of 3.2% if gilt yields remain at the level at 31st December of 2.46%. Annuities for smokers have decreased by 3.2% over the last two months so this would suggest they are likely to decrease by a further 1.2% if gilt yields remain at their current levels. The impaired annuity rates were more stable during December and many providers after reducing their rates in November found they had extra margin in December and so were not inclined to make reductions to their annuities.